Fun with wine and google, Arneis edition! 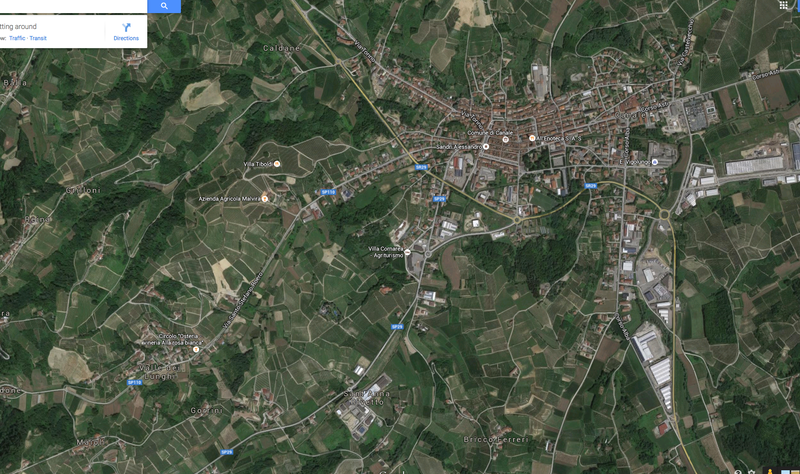 The Roero district is nestled between Bra and Asti, with the Azienda lying just to the southeast of Canale town. The Matteo Correggia azienda comes into view from above, with the lovely terra cotta roofs you’d expect to see in Northern Italy dominating the landscape, along with rolling hills of grapes and trees. Yes! Looks like the estate has had to do some terracing and landscaping recently, but it’s lovely nonetheless. Almost every parcel of land that could be used for viticulture is indeed being used, and it makes for a lovely set of textures. The front door view is wonderful. 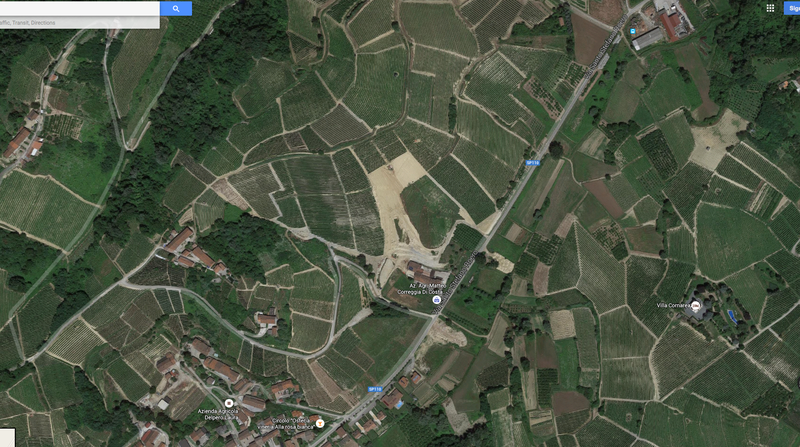 And if you scroll on Google Maps a little closer to Canale town proper, you see some lovely hilltop estates. All this beauty, great wine, and a view of the Alps? Added to the bucket list! 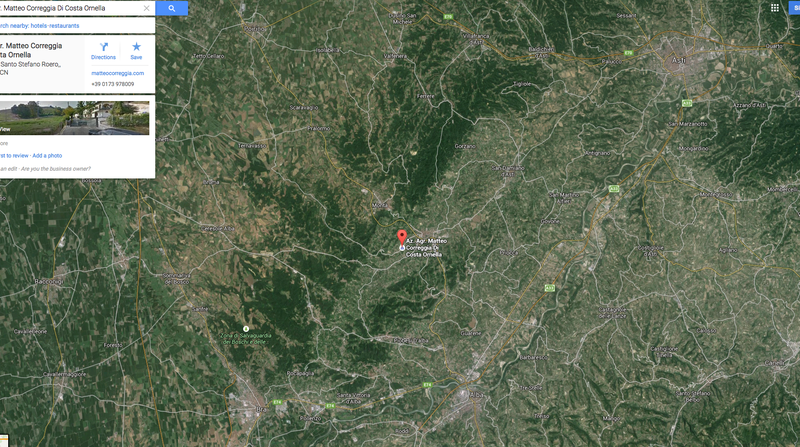 Hope to visit this azienda soon.